Geneva - The Euro-Mediterranean Human Rights Monitor sent an urgent letter to the UN Working Group on Enforced or Involuntary Disappearances regarding some Yemeni abductees subjected to torture and ill-treatment by al-Houthi group in Sanaa. 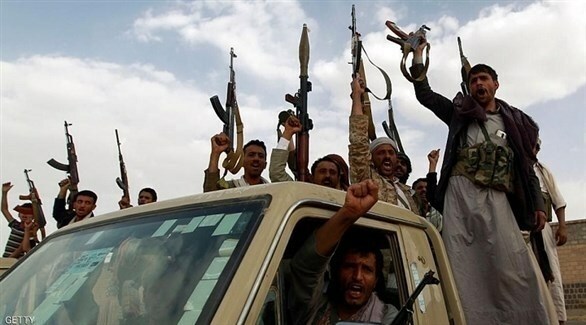 Dozens of abductees, including academics, journalists and students, are being held at the political security prison in Sanaa, controlled by the Houthi group, where they are subjected to physical and psychological torture, Euro-Med Monitor said. The nonprofit group also expressed its deep concern at the continuing violations of human rights in Yemen, particularly against civilians in the political-security prison compound in Sana'a, with increasing violations against abductees who have been victims of enforced disappearance. The organisation referred to information it had received that abductees seeking help from their cellmates had been subjected to torture and deprivation of exposure to the sun for several months, causing skin diseases, besides being subjected to psychological torture by insulting their families during their visits. The demands sent by the Association of Abductees’ Mothers to Euro-Med Monitor were also communicated to the Red Cross, requesting that they visit the said prison to meet the abductees and enable them to enjoy their natural human rights. Enforced disappearances violate the most basic human rights, such as the right to life, the right to a fair trial and the right to freedom. They also violate international conventions such as, the International Covenant on Civil and Political Rights, the convention against torture, and other laws and regulations against arbitrary detention, among others. Since the beginning of the conflict in Yemen in 2015, thousands of Yemenis, including civilians, have been kidnapped by the different parties to the conflict, while hundreds have forcibly disappeared as a result of the ongoing conflict. Three cases of enforced disappearances have been disclosed in the letter Euro-Med Monitor provided to the concerned bodies, which included comprehensive information, indicating that it had urged the Working Group on Enforced or Involuntary Disappearances to conduct a comprehensive study of their cases and to work with the parties concerned to ensure these detainees’ immediate release. Euro-Med Monitor also called on the Office of the High Commissioner for Human Rights in Sana'a to pressure the Houthi group to release prisoners unconditionally and called on the parties to the conflict in Yemen to abide by international rules on the rights of detainees during armed conflicts, also calling on the Houthi group to allow family visits to all those who had disappeared after revealing their whereabouts. The Euro-Mediterranean Human Rights Monitor calls on the international community to protect Yemeni civilians affected by the ongoing conflict by pressing all parties to the conflict in Yemen to stop targeting them. Euro-Med Monitor further calls on international bodies and organizations to condemn kidnappings of innocent civilians in Yemen in the strongest terms and to help in the efforts to release them.